Issue 1 - The "The exported drawing is small in comparison to full page"
Likely the cause is that there is a tiny object (may not be visible at the current zoom level), that nonetheless is part of of the overall drawing and export. It will be at the opposite side of the canvas from where you see your reduced sized drawing. Option 1 - To resolve, zoom in on the "empty side" to find and delete the unwanted object. Once deleted, the export should be fine. An easy way to find that missing object is to Multiple Select the entire "empty side" using the Box Select tool. 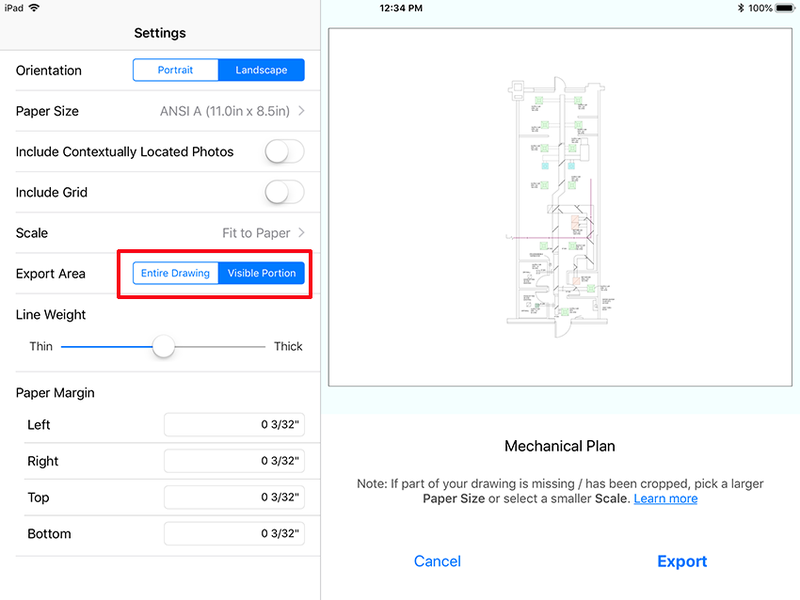 Option 2 - During an Export to PDF, at Settings > Export Area, choose the Visible Portion Option instead of Entire Drawing to only export the elements currently on screen. What can happen is that the drawing size is being applied to a output scale that causes a mismatch for the output size (paper size, scale). For Example: You could have a drawing that at its widest is 100 ft. 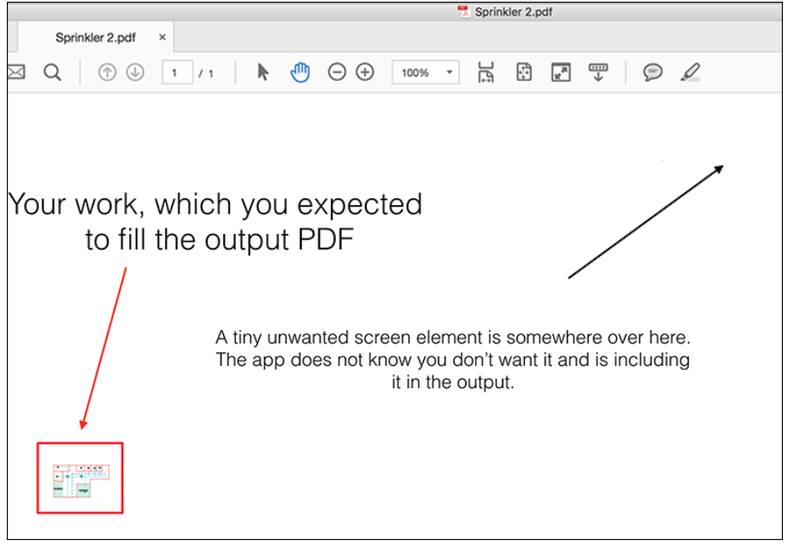 When you then go to export the drawing to PDF, you are presented with a Scale option on the PDF Setting dialog. 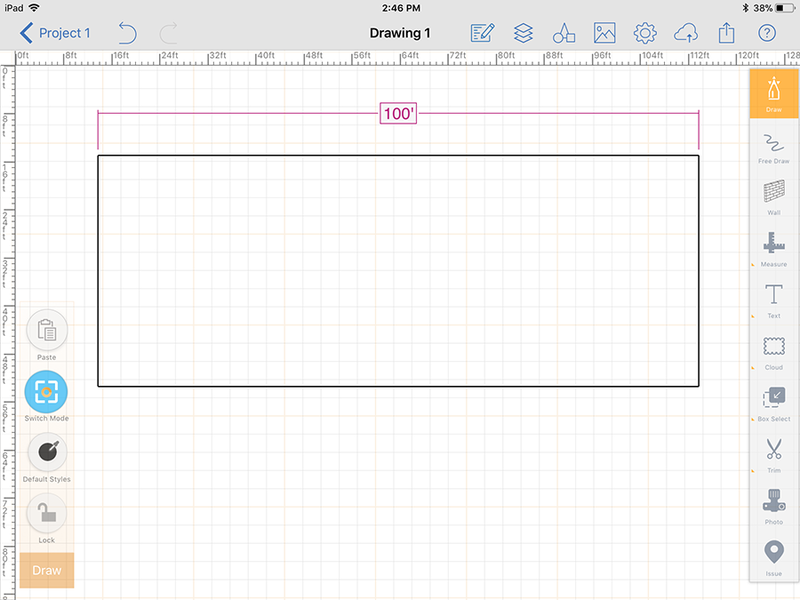 This output scale needs to take into consideration the size of the drawing itself. 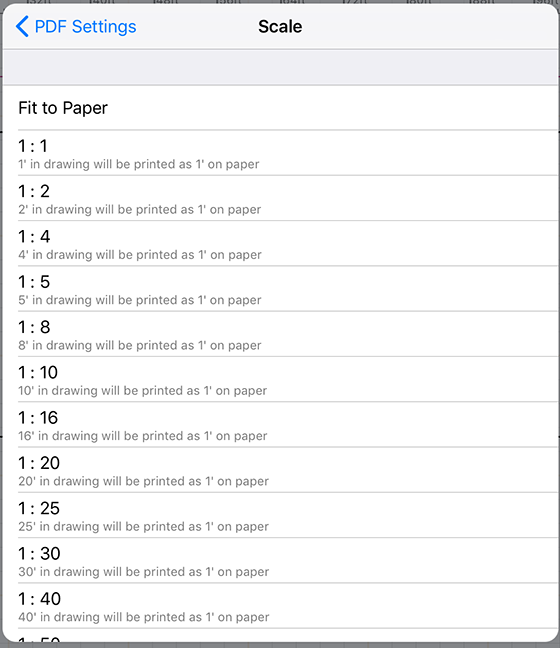 Each of the various scale options describes how the drawing size will be printed on the paper.